Standard pampas grass makes for an impressive specimen in large landscapes; but many urban spaces can’t accommodate its immense size. If you want the classic look of pampas grass with a more manageable size, dwarf pampas grass ‘Pumila’ is the way to go. Plants reach only 3-5’ wide and 4-6’ tall. This attractive grass is fast growing and looks beautiful planted in mediterranean and desert inspired landscapes; but still fits well in more traditional design. Plants can be used as either a specimen or as a short screening plant. The foliage is relatively fine texture and is a nice medium green color. The flowers of the dwarf pampas grass is the most attractive attribute. Cream coloured white plumes emerge in late-summer for a great fall display. The flowers can sometimes reach 7-feet tall at maturity. Dwarf pampas grass typically has more flowers than the standard pampas grass, making it an even more attractive specimen. This low-maintenance grass thrives in full sun and tolerates poor soils. 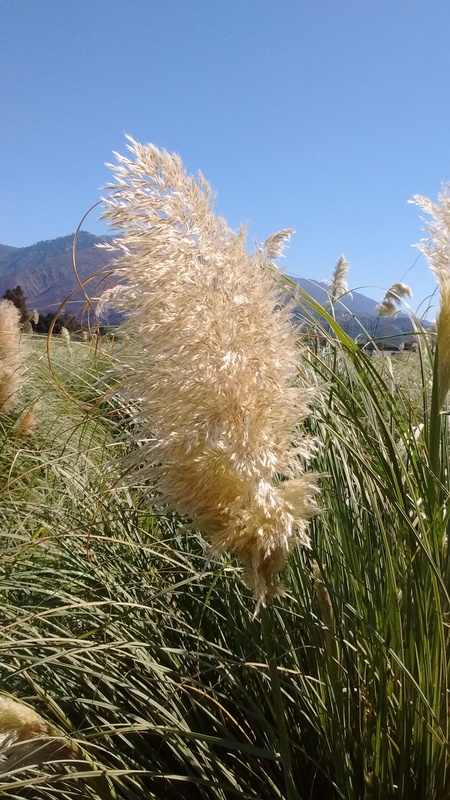 Dwarf Pampas grass has very low water needs once established and is not affected by many pests or diseases.